Discussion in 'Wii' started by Madmorda, Dec 18, 2016. This is probably going to be a pretty slow worklog since I'm still waiting on parts, but I can at least document what I have so far. This is the case I'm dying to use. 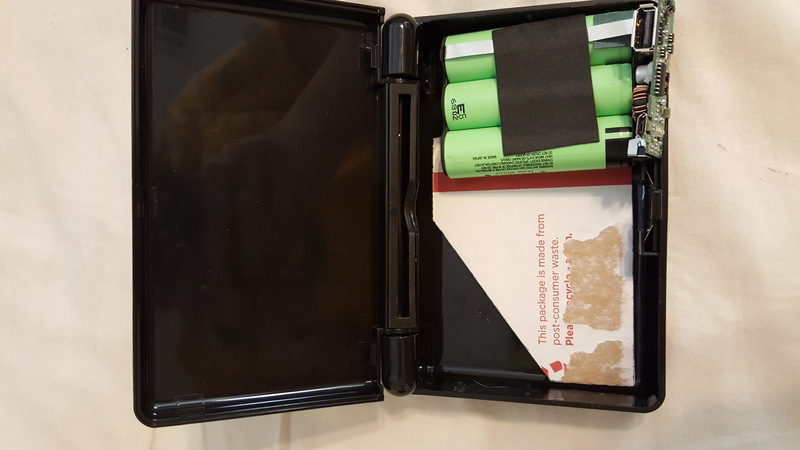 It's an intec ds lite case that is about the size of an original game boy. I believe it's a tiny bit bigger, but more square than rectangular. It's wider but not as long, and just a little bit taller. 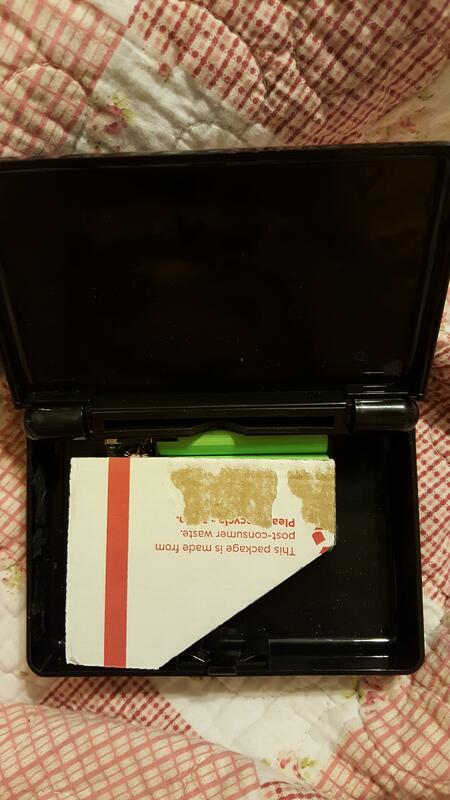 The lid opens and stays in the same position a ds lite does on the first click. I am hoping to have it be laptop style, but I believe it mainly comes down to whether the screen's circuit board fits. If I absolutely can't get it to fit, I might use it closed and put the screen where the intec logo is. Here it is with a piece of cardboard cut out to be the same size as the wii motherboard should be, along with some lithium ion cells. Two cells should fit about perfectly, with just enough room for the L and R buttons. 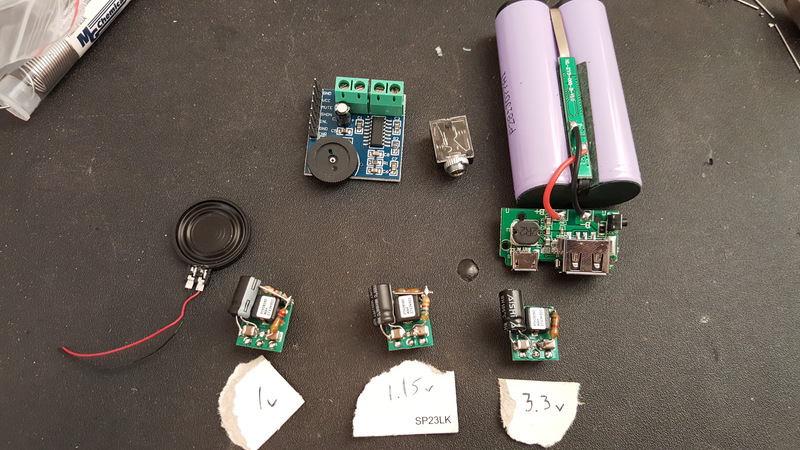 I'm waiting to order the battery in case they end up being too tall for the joysticks to fit on top (it's a close call) because I might go for a lithium polymer instead. It looks like even after I put in the buttons, there will still be room for me to put in a power led where the ds lite power led normally goes, but it might not be worth the trouble. I am currently in the process of 3d printing parts for this case. 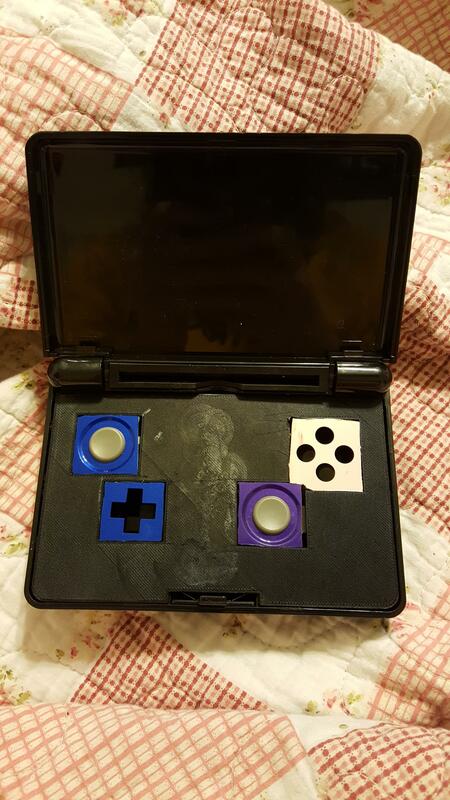 I will print out L, R, Z, and start buttons for it. I like the idea of having L and R closer to the edges of the case, with Z being slightly closer to the center instead of above R. Start will be a mirror of Z, except next to L instead. I have installed PortablizeMii on my wii, and it seems to be running perfectly. The only thing I've noticed is that sometimes it will be almost frozen upon startup, and the cursor will lag horribly. This isn't a common occurrence, and rebooting the wii takes care of it every time. For now, I'm waiting on the 4.3" screen (I have the 3.5" already), capacitors, breadboards, and I need to order a 2-cell battery. I will update as my printer finishes slowly churning out parts and as more things arrive. Noah and GingerOfOz like this. 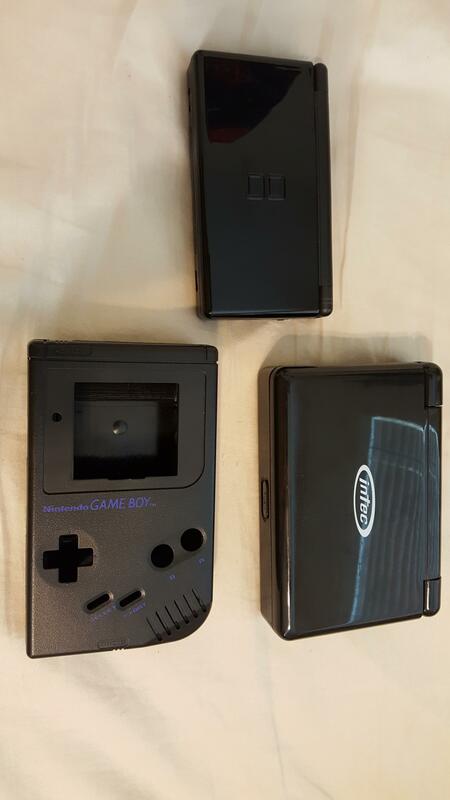 I have the bottom cover 3d printed, and cut out the pieces from the ds / 3ds shells. The 3ds sliders are a bit thicker than I was really expecting, so fitting the wii motherboard with the heatsink directly underneath it may require some extra legwork. I may make a slight external pocket to fit the heatsink, or find a thinner one if I can. Or I may be able to slant it slightly since the slider is the only place it won't fit under. If I fit the mobo this way, I can JUST wedge an 18650 in the back underneath the hinge. It fits perfectly and still allows the hinge to move normally. That lets me put the other one underneath the abxy buttons, since they don't fit directly underneath the sliders. I took measurements of the 3.5" screen and it looks like it should fit just about perfectly in the top part, sitting on top of the circuit board if I remove or relocate the three buttons. I really hope the 4.3" is the same way. As you can see, the 3ds sliders take up almost no room above the lip of the bottom half. But even a millimeter or two could make a difference here. I may need to sand down the inside of the top half a bit if I need to recess the screen a bit to give them room. I don't want the sliders to leave marks on the screen. The 4.3" screen arrived today, and I tested it out in the case. 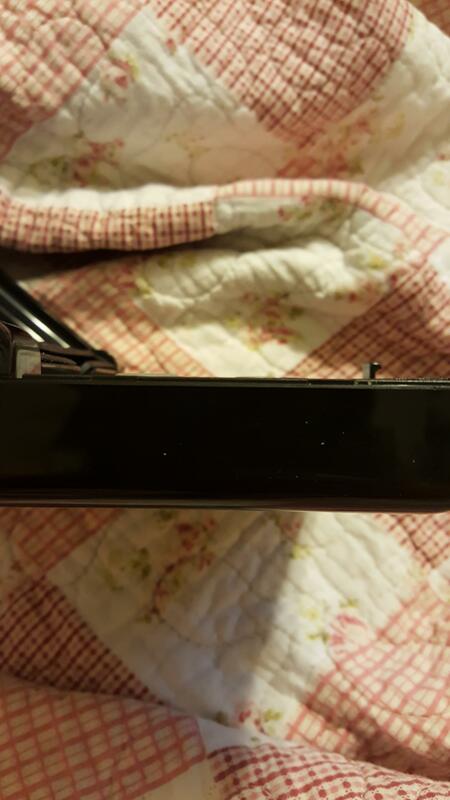 The circuit board is actually quite tiny, and while it's a tiny bit too thick to fit directly under the screen, it is able to lay partially under it. I cut a tiny part out of the case to give the circuit board room to lay. The screen is then centered at the top of the case. With it laying like this, it is a perfect fit . All of the buttons click nicely. I believe it could also be easily made to fit the abxy buttons, but I would prefer the ds lite feel over the clicky feel for those. Here is the back view. The screws are a bit off, but a bit of drilling and it'll be fine. 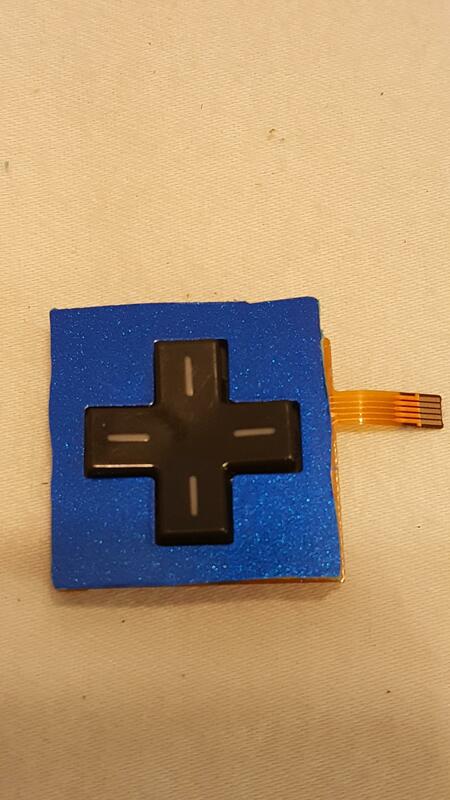 EDIT: The dpad can definitely be used as abxy buttons. They won't work with ds lite buttons, only 3ds ones, and you will also need the silicon pad that goes under them. They are comfortable and feel just like they should. The only thing I'd worry about is mounting the circuit board. 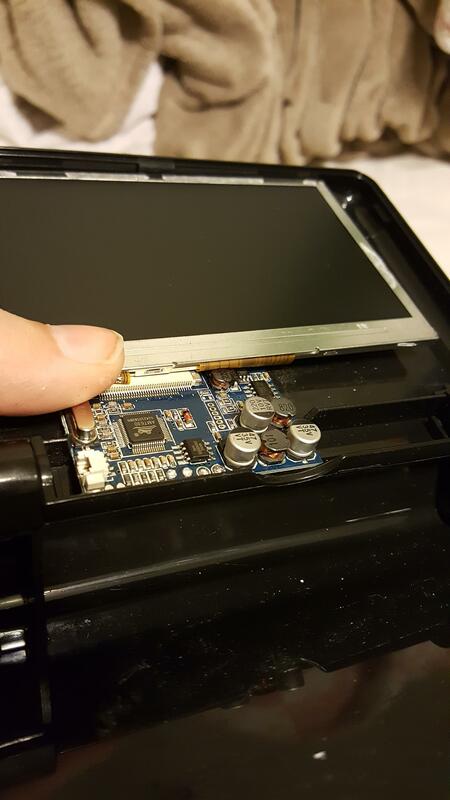 Fortunately, the 3ds (idk about the xl) has three screw holes that the board can be mounted on. You'll need to drill holes in it for them to match up, but as far as I can tell, it won't coincide with the traces on the board at all. It would probably be a good idea to give it additional support from below as well just so that excessive force won't break it. I will probably 3d print a post or two to hold it up from below. I am revising my statement that I'd prefer ds lite buttons because this way they'll match the dpad, take less space, and be much less work. Mr Wizard, Matthew, cheese and 1 other person like this. Screw posts are the best way to mount controls. I love it! Can't wait to see how this turns out, everything looks great so far! dang this is looking nice. If it makes it easier, you can separate the battery pack. Perhaps have one cell on each side and one horizontally. There are quite a few different heatsink set ups all different directions and volumes tested in Wiips now, you can pretty much cool a Wii in any case no matter what cards you are dealt. Thanks! That's the plan. One horizontal underneath the hinge and one vertical underneath the abxy buttons. As far as I can tell there isn't room for a third cell, so I've gotta get a new battery. The heatsink issue is actually the main size thing I'm worried about now that I know the screen fits. If I put anything directly under a 3ds slider, I have about a 1cm to work with. Which means about a 6mm heatsink, and idk where to put the fan. If you have had any thin fans that are quiet you could recommend, that would be amazing. The last ones I got rattled and didn't actually move any air. :T I know it's a bit of a crazy expectation to find any like that, but I have some 8mm heatsink / fan combos that actually work very well, but are 12v so I can't use them. Yes please! Can't wait to see more! 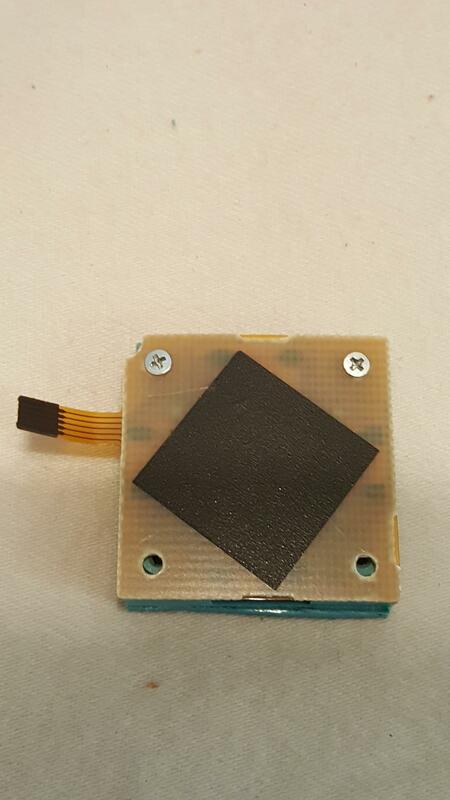 I have found a thin metal 5v fan that <might> be okay by itself and I ordered it. I doubt I'll go that route, but it is supposedly 5mm so it's worth looking into ad the very least. Thought I'd mention it anyways in case it works out, because an ultra thin fan could come in handy. What the plan is at the moment is to have the fan vent on the top part of the bottom half blowing upward. That'll mean that I have some extra room for the fan/heatsink, with the added bonus of being able to set the wii down while it's on without cooking it. I'll have to relocate the buttons slightly more to the sides. (I had to anyways, my thumbs aren't quite that long haha). The alternative would be to 3d print a very thin pattern (ex. a 1up mushroom) a fraction of a millimeter thick, then paint that and glue it on top of the intec logo. I bought my battery as well. I chose it because it has 2.4amp output (I hope it's enough, I think it'll be a close call) and because the shell is plastic so it's easier to get into. It also has the bonus of supporting pass-through charging, meaning that I can charge and play simultaneously. The part I'm most excited about is being able to charge with a micro usb charger. The last thing is the sensor bar. I still don't know if I'll have room for sure, but it's looking likely that I'll be able to incorporate a plug for an external sensor bar. As far as I've read, all I need to do is hook it up to 3.3v, and then I'll have full wii compatibility. tyE, cheese and GingerOfOz like this. I still don't know if I'll have room for sure, but it's looking likely that I'll be able to incorporate a plug for an external sensor bar. As far as I've read, all I need to do is hook it up to 3.3v, and then I'll have full wii compatibility. I believe the sensor bar actually runs on 12v, @Shank plz confirm/deny. This is where I saw that it was 3.3v. Maybe I misinterpreted it and you can only run individual ir leds on 3.3v? Yeah, that's for wiring your own LEDs. Shank was saying that he couldn't get the sensor bars to light on 5v. That's a shame. 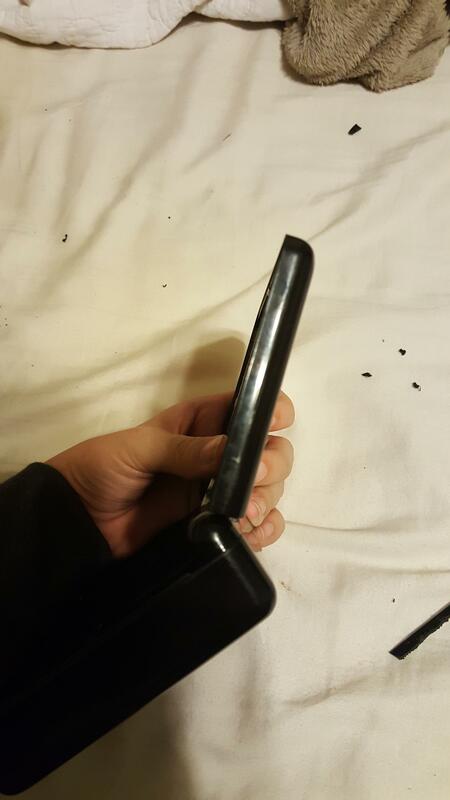 I thought the newer bars, in general the black ones, could run off 5v. If not though, then I could maybe try wiring my own, or buy one of those sensor bars that runs off batteries. Am I right in thinking the sensor bar doesn't send any data to the wii and all info comes through bluetooth from the wiimote? Yeah, all you need to do is light some IR leds for the wii remote to see. Depending on their distance apart will determine the distance from the system you can use them. Thank you for your help I'll think about it. I'm sure I'll be able to work them in somehow, even if it's just buying an external sensor bar. Yes, the sensor bar works of a 12v pwm signal. So its not a constant 12v signal, but a pulsing one. Yes, I meant using 2 individual IR LEDs in place of a sensor bar. Ive heard you can with the newer bars, but have never tried a newer one myself, just the older ones. Yes, the sensor bar does not send any data to/from the wii. All it is is 2 IR lights that a camera in the remote sees. Acronell and cheese like this. I am back from vacation and ready to make some real progress on this. I have received my battery, and am very happy with it. It should definitely be possible to fit both cells in somehow, and the circuit board is small. For some reason, my multimeter refused to tell me the amperage it would output, so I hooked up my TI regulators and got an LED to light up with the 3.3v one so it seems to be working fine. I just hope the 2.4 amp output is accurate. The cells don't seem to be Panasonic ones, so it might not be as big of a capacity as it says it is, but we'll see. I'd rather have pass-through charging and a compact design than an extra 20 or so minutes of battery life. On one of my regulators, I'm off on resistance by a little bit. For the 1v one, it should be 87.2k ohms according to the guide here or 86.6k ohms according to the data sheet. Mine is 87.6k ohms which is a little higher than both but hopefully it'll be okay. That was the closest I could get without using more than two resistors. In the picture you can also see the amplifier board I'm planning on using, a ds lite speaker (i might go bigger on the speakers later on if I can), and the switching headphone jack. The next thing to do is to trim the motherboard. I can't seem to find my dremel's cutting wheel and my hacksaw is getting kind of dull. Since I need to buy cutting tools either way, does anybody have a preferred method of cutting pcb? If not, I'll just pick up some more hacksaw blades.